Hecht Optics balances theory and instrumentation and provides students with the necessary classical background through a lively and clear narrative. 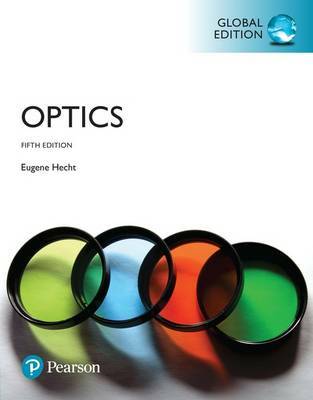 Optics, Fifth Edition is distinguished by three core imperatives: up-to-date content in line with the ever-evolving technological advances in the Optics field; a modern approach to discourse including studies on photons, phasors, and theory; and improvements and revisions to the previous edition’s pedagogy including over one hundred new worked examples. Sustaining market leadership for over twenty years, Optics, Fifth Edition continues to demonstrate range and balance in subject matter. The text is grounded in traditional methodology, while providing an early introduction to the powerful perspective of the Fourier theory, which is crucial to present-day analysis. Electron and neutron diffraction patterns are pictured alongside the customary photon images, and every piece of art has been scrutinized for accuracy and altered where appropriate to improve clarity.